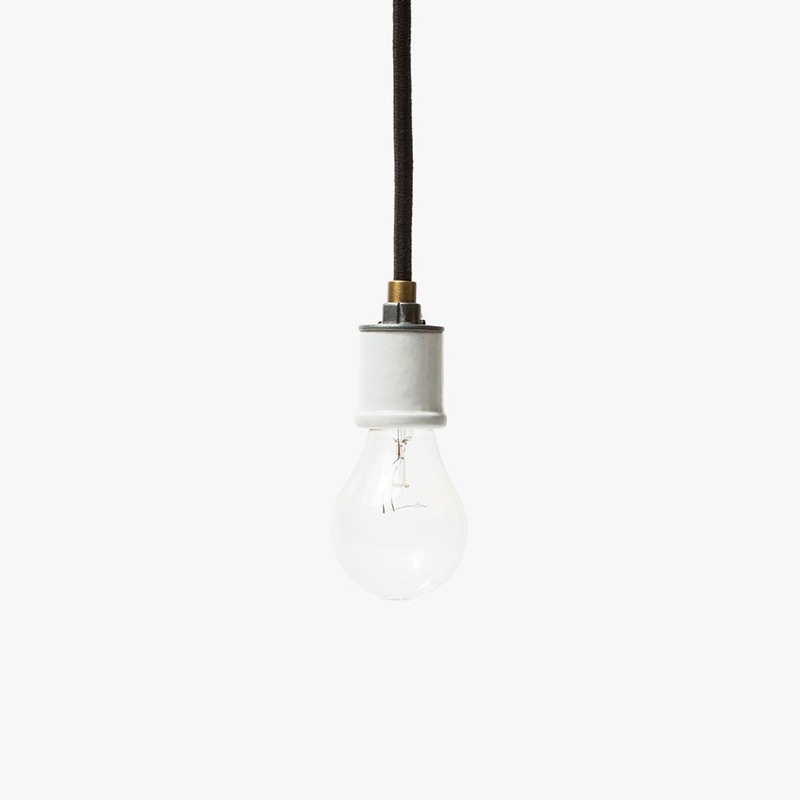 The Portland Pendant is a minimal and timeless pendant cord set designed by Conway Electric. The unique and surprisingly attractive ceramic bulb socket has a flanged rim for attaching clamp-on shades, giving you an easy way for customizing the look of the light any time. 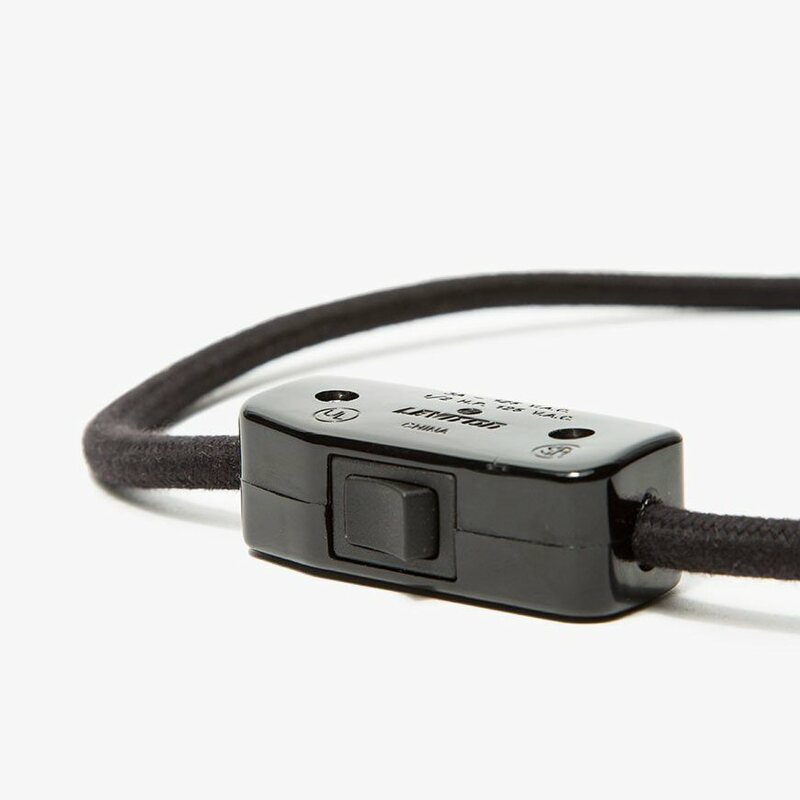 The integrated rocker switch 3 feet from the plug end keeps control accessible. A finished antique brass strain relief is used so it perfectly compliments the industrial steel, ceramic and cotton cord components, making the Portland Pendant appropriate for casual or elegant installations — modern with a vintage feel. 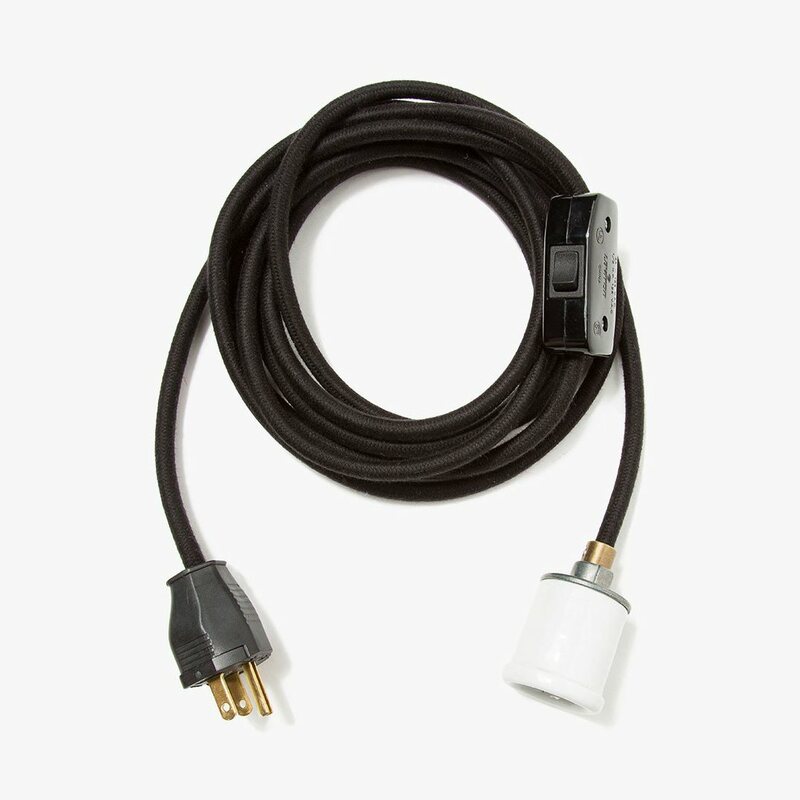 The cord is UL-listed braided cord terminated with a simple 3-brass-prong plug and an integrated in-line rocker switch 3 feet from the plug end.